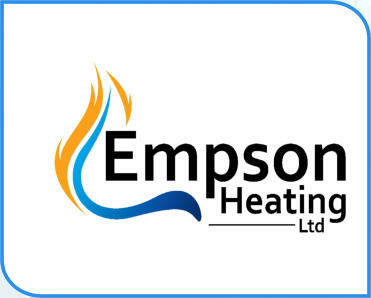 At Empson Heating, we provide various heating solutions, from standard radiators of all shapes and sizes (including designer ones), to full underfloor heating systems. We have state-of-the-art thermal imaging cameras to diagnose and test for faults, so we can quickly identify cold spots and incorrect pipework. You have our guarantee, that this resolves any issues quicker than some older/traditional methods. UNDERFLOOR HEATING Nowadays, underfloor heating can be fitted with almost any flooring — using products and bases that will only raise the original floor level by up to 18 mm, as thus causing minimal disruption. This makes it an ideal retrofit solution, as it can eliminate the need for radiators, freeing up much needed space on the walls. It can also be much more cost effective, as the heat rises slowly through the whole room — rather than just isolated areas. After having your underfloor heating fitted, these can all be controlled individually with room thermostats or even smart controls like the nest system, making your home even more efficient. TRADITIONAL RADIATORS Radiators are still a very popular choice, as they give off more heat quicker than underfloor heating and you can feel the room heating up almost instantly. There are many different designs of radiators nowadays, from the basic standard white design, right through to large mirrored ones. Efficiency has improved drastically from the old style single panel radiators, plus you can get much smaller designs that will do the same job as older, much larger ones. Pipework can also be hidden in the walls relatively easily, with much smaller pipes.